In a pan heat the oil, then add chorizo. Cook chorizo for 3 to 4min. until browned. 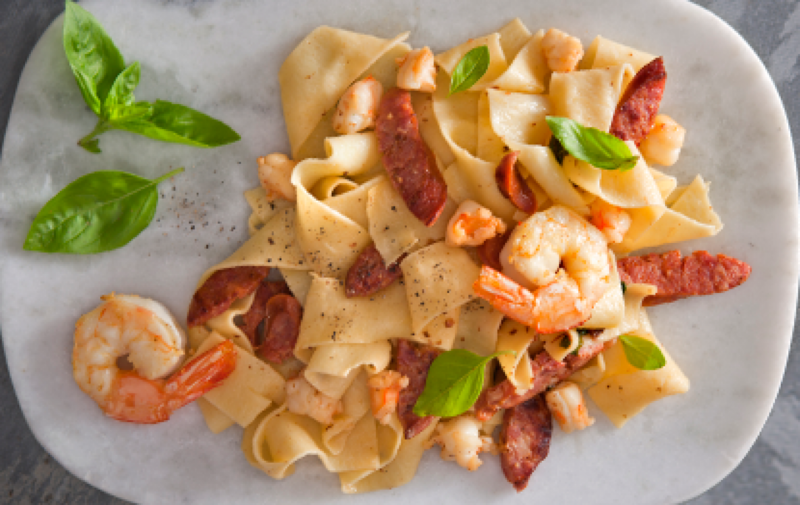 Remove chorizo from pan and add prawn. Cook for 2 to 3min. Add butter, garlic, chorizo, lemon zest and basil. Reduce heat to low.